The White House budget proposal for FY 2019 eliminated funding for the Institute of Museum and Library Services and the majority of federal library funding. This places over $210 million in federal library funding at risk, just through the elimination of programs like the Library Services and Technology Act (LSTA) and Innovative Approaches to Literacy (IAL) program. Two letters are circulating in support of federal library funding for FY 2019. 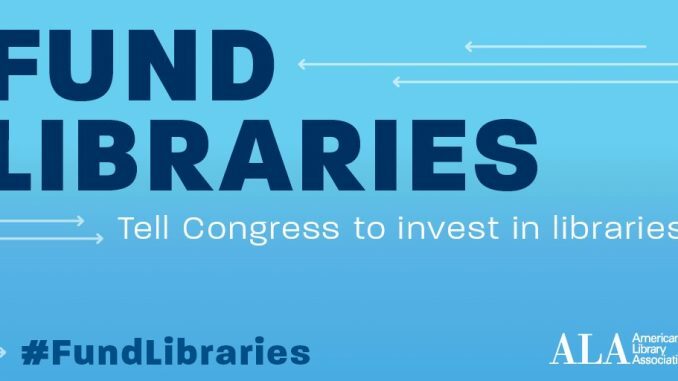 Contact your representative this week and ask them to show their support for libraries by signing both the LSTA and IAL letters. As of yesterday morning, there are 84 signatures on the letter supporting funding for the Library Services and Technology Act and 49 on the Innovative Approaches to Literacy letter – that’s far lower than we want to see with the March 19 deadline so close. Last year there were more than 140 signatures on both letters. Please join your fellow ACRL and ALA members, and library supporters across the country, in calling, emailing, and tweeting at their Representatives, asking them to sign on to both letters. The more signatures we have, the more likely it becomes that the appropriators will protect funding for LSTA and IAL. Email templates and talking points are available on the ALA Action Center. 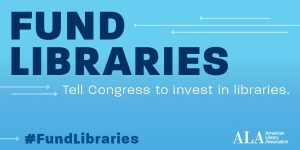 See this recent email from ALA President Jim Neal for more information and join the fight to support our libraries!